With WWE Hell in a Cell 2017 just a few days, there is palpable excitement in the air. The Smackdown Live exclusive pay per view sees two Hell in a Cell matches on the card. The first has the deeply personal grudge match between Kevin Owens and Shane McMahon while the other has The New Day defending their Smackdown Live Tag Team Championship against The Usos. 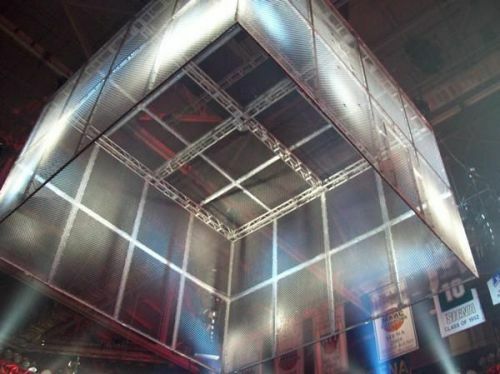 The second match is of particular importance as it is the third ever Tag Team Hell in a Cell match sees Big E, Kofi Kingston, Xavier Woods, Jimmy Uso, and Jey Uso all make their debuts inside the iconic structure. It might seem a little unfair to include Goldberg on this list considering he spent such a large portion of his career with WCW, but he did have plenty left in the tank during his first run with the WWE in the mid-2000s. There was huge potential in pitting Old Man Bill against a top WWE superstar inside Hell in a Cell during that initial run but it never came to fruition. Unfortunately, he was way too old the second time around to compete inside the Cell.